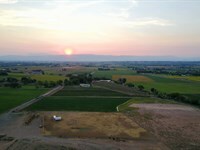 This mountain lot is located in the High Park Road Subdivision, just outside of Cedaredge, CO. The subdivision offers locked gate privacy and year-round access for its residents. This mountain lot offers all of the appeal of mountain living and seclusion, but is still close enough to town for daily commuting. 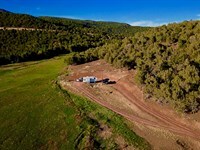 Situated on the southern slope of the Grand Mesa this mountain lot is about 7,500' in elevation and offers amazing views of the Gunnison River Valley and the views extend all the way to the San Juan Mountain Range near Telluride. 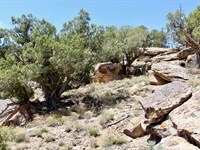 This mountain lot is heavily wooded with pi on and juniper trees for superb seclusion. 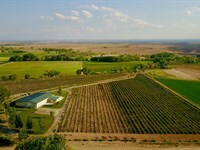 Cedaredge, CO is nestled at the south facing base of the Grand Mesa-the world's largest flattop mountain. 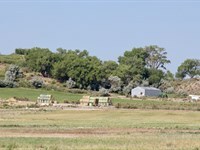 Cedaredge has about 2,000 area residents and is the quintessential western small town community. With three excellent schools K-12, several restaurants, grocery store, two banks, a lumber yard, and even an 18-hole golf course, Cedaredge has many necessary amenities. 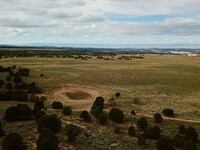 The Grand Mesa sits just a few short miles north and is home to the Grand Mesa National Forest. The Grand Mesa National Forest comprises over 500 square miles of accessible forest. With over 300 lakes, the Grand Mesa is known for excellent trout fishing. An extensive trail system allows access to the Grand Mesa with miles of hiking trails, ATV trails, motorcycling trails and equestrian trails. 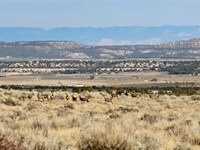 Big game hunting on the Grand Mesa is excellent with large elk herds, mule deer, black bear, turkey, and moose. 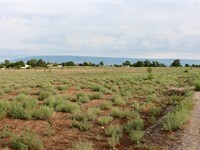 This mountain lot is located in GMU 411 and over the counter elk tags are available. Winter recreation on the Grand Mesa includes snowmobiling, Nordic skiing, snowshoeing and Powderhorn Mountain Resort is less than an hour away.